Henningsvær is a small island group of around 400 inhabitants situated between the impressive Mount Vågakallen and the “Lofoten Wall”. It has well-developed services with several types of accommodation, and can offer exciting experiences in both food and nature. Despite its small size it features a number of businesses with a range of handcraft boutiques, restaurants, and quality galleries. Henningsvær is flat, and with its open situation provides ideal conditions for drying cod during and after the Lofoten Fishery. The fish hang on racks from March until around the middle of June. Then the fish are transferred to a storehouse to continue drying. The sorting of the fish begins in August. It is graded according to quality before being packed and exported, or used for the Norwegian specialty “lutefisk”. Much of the dried fish is sent to Italy, Croatia or Nigeria, places that have a traditional association with this product going back many years. Henningsvær was first inhabited in ancient times. The oldest documented settlement dates back as far as 1556 – but the village is alive and well in every respect, even if the fishing activity has declined from what it once was. 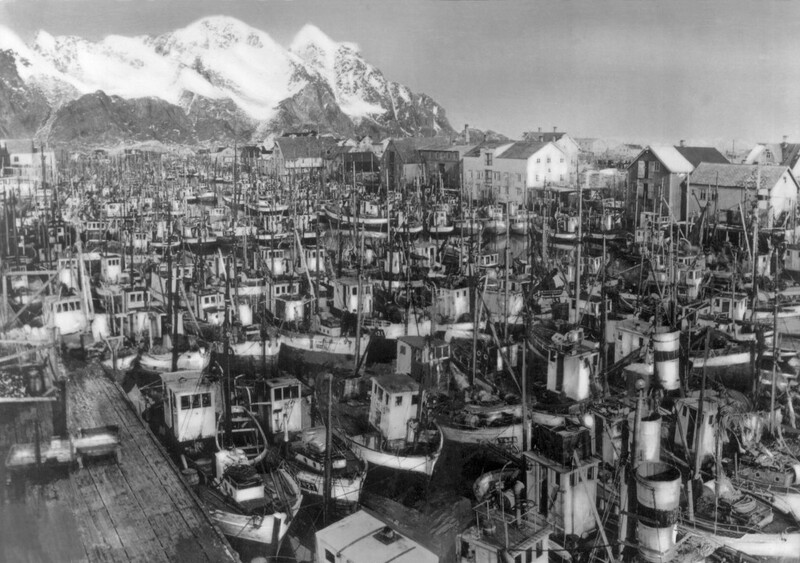 Tourism has become one of the most important industries, but Henningsvær’s history, its roots, and the Fishery remain central. Finnholmen Brygge AS © 2015. All Rights Reserved.